Oppo K1 will go on flash sale for the first time tomorrow while the Realme C1 (2019), Samsung Galaxy M10 and Galaxy M20 will be available for second and third time respectively. Oppo K1 was launched in India last week as the company embraces a competitive stance and has introduced the world’s cheapest smartphone with an in-display fingerprint sensor. The smartphone brings modern technology and premium gradient finish to a much more accessible price point as all smartphone makers challenge each other to retain their market share in India, the world’s fastest growing smartphone market. The Oppo K1 is being offered in only one storage variant of 4GB RAM and 64GB storage and it is priced at Rs 16,990. It comes equipped with a 6.4-inch Full HD+ AMOLED display, Snapdragon 660 SoC, 16-megapixel + 2-megapixel dual rear cameras and a 25-megapixel selfie camera. The smartphone runs Color OS 5.2 based on Android Oreo and is backed by a 3,600mAh battery. During the sale tomorrow, Citibank customers will get 10 percent instant savings and there is 90 percent buyback value available at Re 1. Realme has surprised the smartphone market by breaking into the top five during the fourth quarter of 2018. As an effort to retain that momentum, Realme introduced an updated memory configuration for its budget device and calls it the Realme C1 (2019). The Realme C1 (2019) bumps the RAM and storage of last year’s model without much change in its price. The Realme C1 (2019) comes in two storage variants – 2GB RAM variant with 32GB storage priced at Rs 7,499 and a 3GB RAM variant with 32GB storage priced at Rs 8,499. The smartphone will go on its second flash sale tomorrow. In terms of design and features, the Realme C1 (2019) is same as its predecessor with a plastic body and a tall display with a notch at the front. It features a 6.2-inch LCD display with HD+ resolution of 1520 x 720 pixels and 19:9 aspect ratio. Under the hood, the Realme C1 (2019) is powered by the Snapdragon 450 SoC coupled with Adreno 506 GPU. 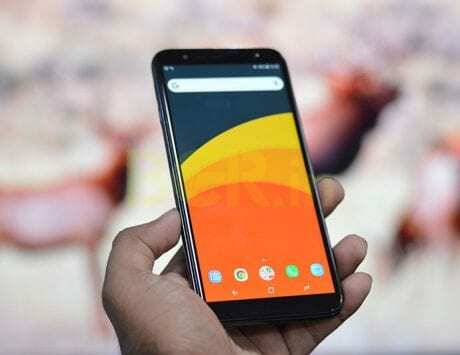 On the back of the device, there is a dual rear camera setup comprising of 13-megapixel and 2-megapixel sensors and at the front, there is a 5-megapixel selfie shooter. The Realme C1 (2019) supports WiFi, Bluetooth, GPS but lacks fingerprint sensor for unlocking the device. It runs ColorOS 5.2 based on Android 8.1 Oreo and is backed by a 4,230mAh battery. 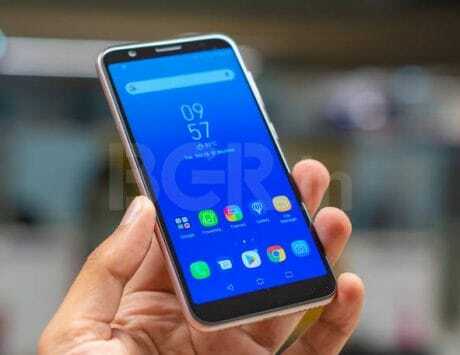 Samsung Galaxy M10 and Galaxy M20 are receiving positive response from both critics as well as consumers since their launch last month. The smartphones, available via Amazon India and Samsung Shop, went on flash sale twice and went out of stock within minutes. Amazon India will offer these two devices for the third time tomorrow at 12:00PM IST and are expected to draw strong response once again. The Galaxy M10 is the cheaper of the two models starting at Rs 7,990 while the Galaxy M20 starts at Rs 10,990. The Galaxy M10 features a 6.22-inch TFT display with a HD+ resolution of 1520 x 720 pixels and is powered by Samsung’s Exynos 7870 octa-core CPU. It comes with two storage variants of 2GB RAM with 16GB storage and 3GB RAM with 32GB storage. There is dual rear camera setup with 13-megapixel + 5-megapixel cameras and a 5-megapixel selfie camera. Like the Realme C1, the smartphone lacks fingerprint sensor but is backed by a 3,400mAh battery. It runs Samsung Experience 9.5 based on Android 8.1 Oreo and is priced at Rs 7,990 for the 2GB RAM variant and Rs 8,990 for the 3GB RAM variant. The Galaxy M20 sports a larger 6.3-inch display featuring a dewdrop notch. 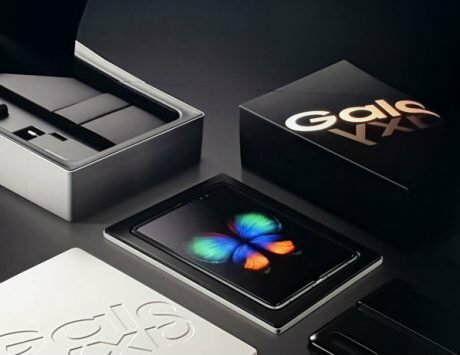 It is powered by Exynos 7904 CPU coupled with 3GB or 4GB of RAM and 32GB or 64GB storage. It offers a 13-megapixel and 5-megapixel dual rear camera setup and an 8-megapixel front camera. There is a rear-mounted fingerprint sensor, Android 8.1 Oreo and large 5,000mAh battery. The Galaxy M20 is priced at Rs 10,990 for the 3GB RAM variant while the 4GB RAM variant will set you back by Rs 12,990.